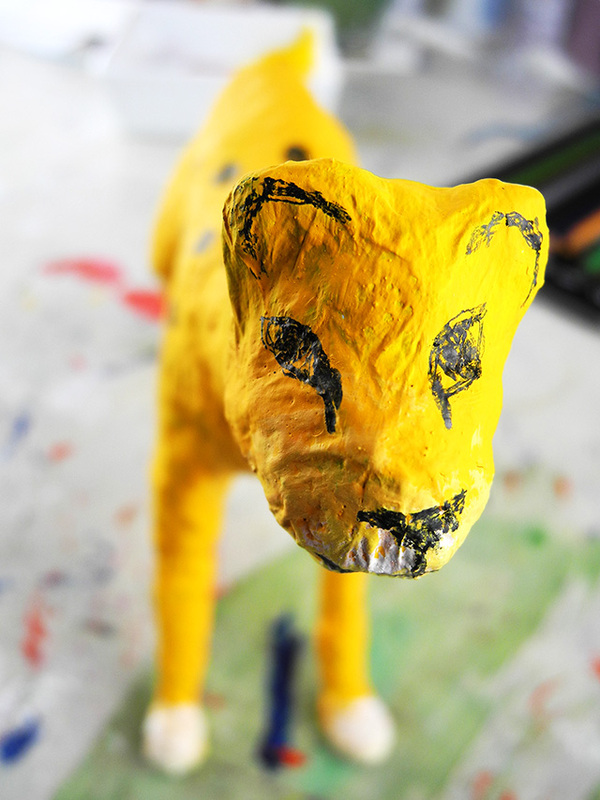 I love paper mache. You don’t need expensive or fancy equipment and you can basically make any shape you like by simply building up out of wire, glue and paper. 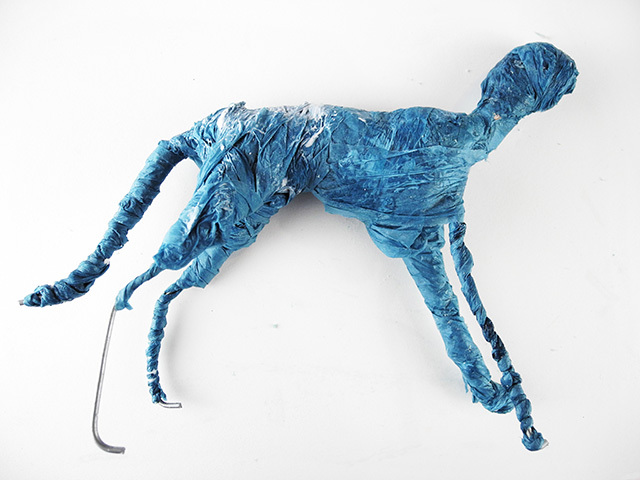 I was doing some paper mache one day when looking for my masking tape, but realized my two girls had once again taken it from my studio and used it all up on a game they were playing. (Apparently it makes great plaster casts for their toys in a game of hospitals.) So, I just started using tissue paper and I loved the texture it gave. It gave a more delicate surface finish than the thick masking tape, so this is what I use now. Out of frustration came a new discovery! 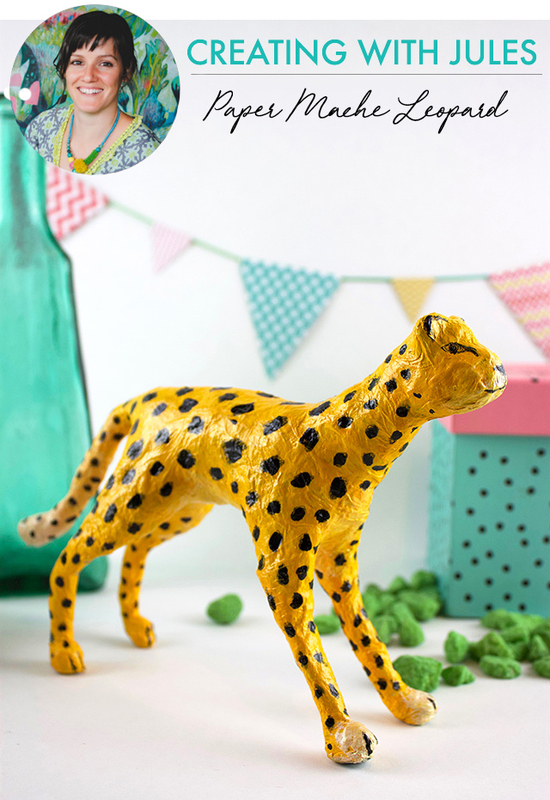 I have made a leopard for this tutorial. 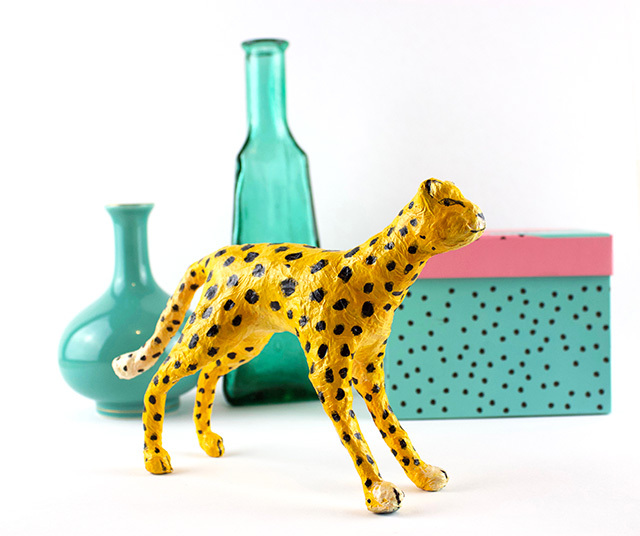 I love the shape of leopards, and their contrasting black spots make for a fun sculpture. -Wire in two gauges. Thicker wire that’s easy to bend but holds it’s shape well, and thin garden wire for tying. First, I studied the shape of a leopard. Their tails are quite long and they get thicker at the tip. They have small heads and ears, long bodies and legs, with rounded feet. 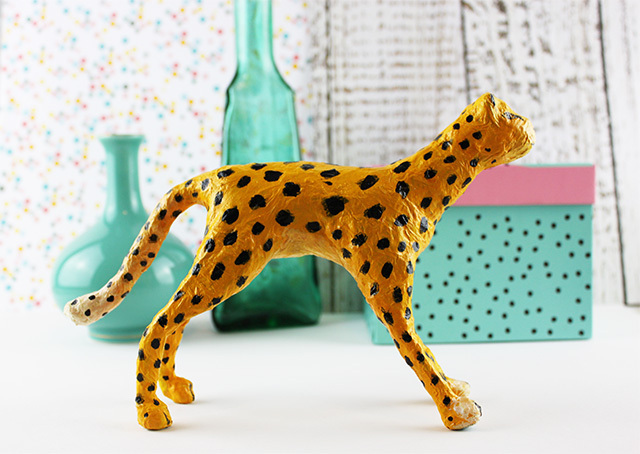 They also have short necks, but my leopard didn’t end up with a short neck! Don’t worry about getting proportions too correct, as a naive quality to this project will make it all the more charming. 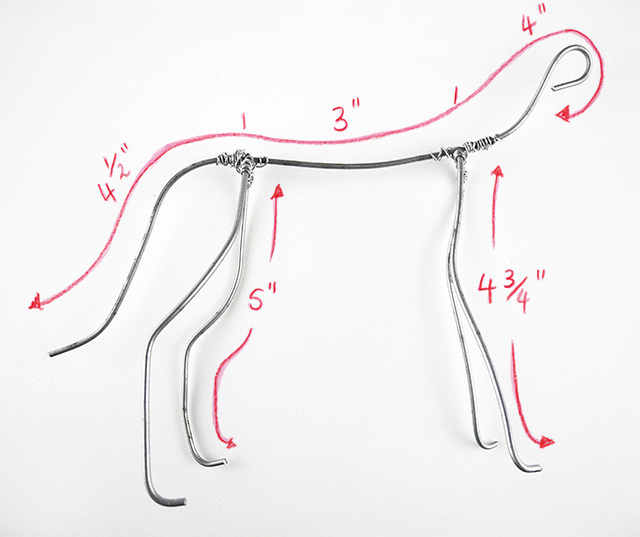 First, cut your thicker wire using the measurements in the diagram, and use the thinner wire to tie it all together. 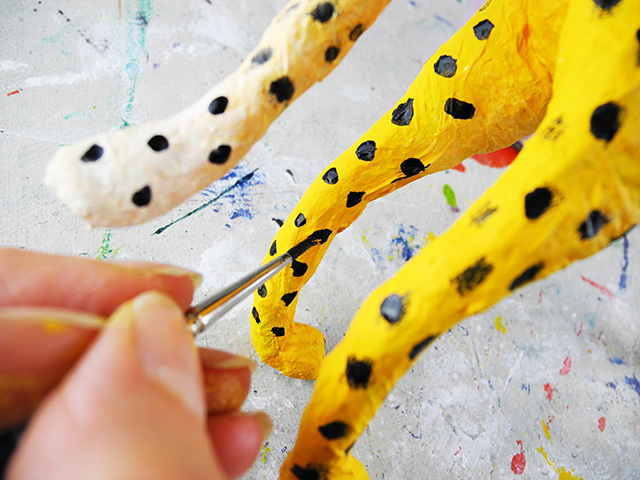 Copy the shape of the wire when making the bends in the body and the legs. 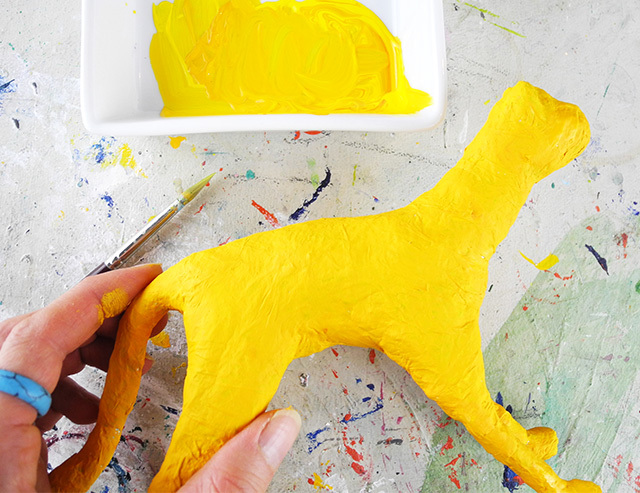 Mix a bit of water into some PVA glue to make it more fluid, and brush or dip strips of tissue paper into the mix and start building up some form by wrapping the paper around the structure. I like to dip my fingers intro the glue, slop it onto the paper and scrunch it up to build up thicker parts where needed. Keep building using my finished photos as your guide. 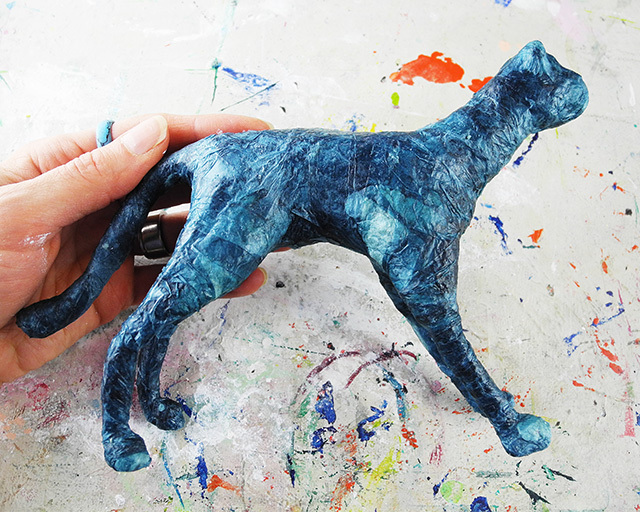 Where you have used scrunched tissue paper, paste some flat tissue paper over the top to smooth it out. Finally add two to three layers of tissue paper over the top. I like to paste using a brush onto the paper first, stick it on, then brush more glue over the top. 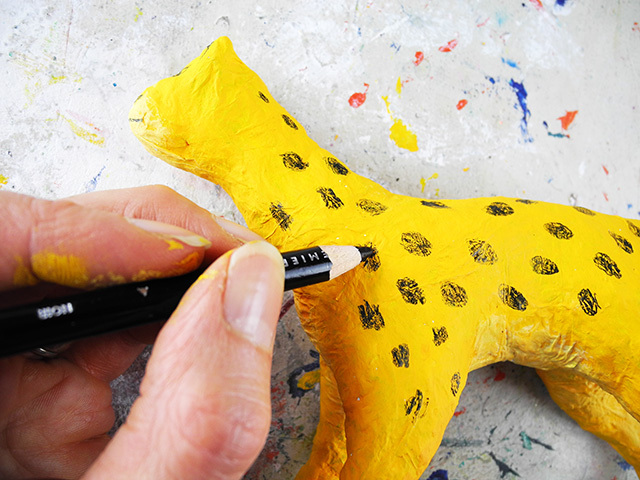 Your sculpture won't be hard, but it will have a soft leathery feel to it when done. Leave to dry for around 24 hours. 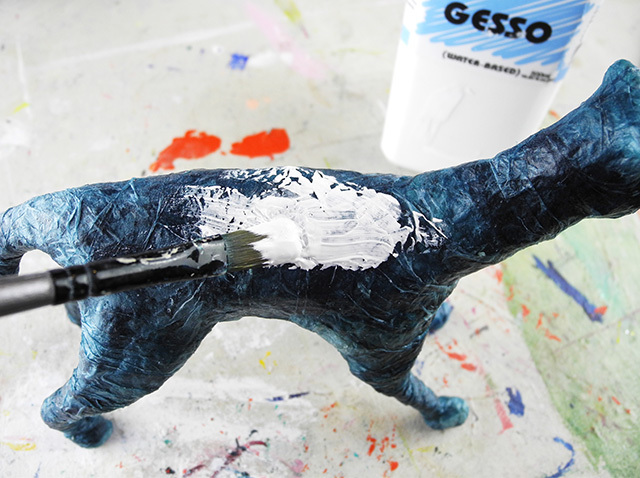 Coat with gesso, and when that’s dry paint with light orange. 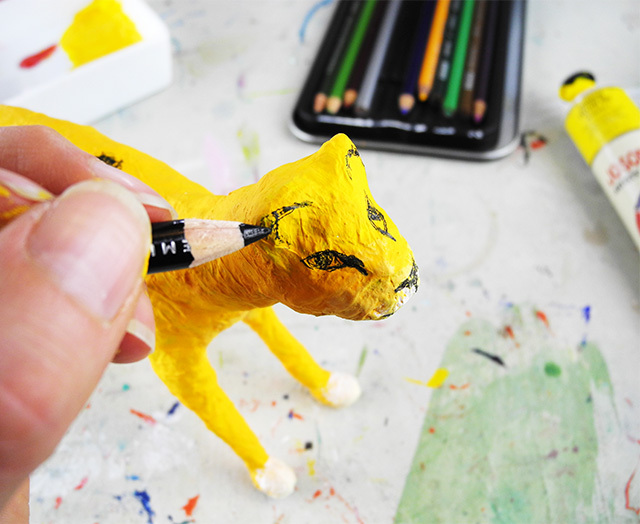 I added some extra pale orange to the tummy, the feet, the nose area, and the tip of the tail. I then used a black pencil to draw in the face details and the spots, and I then went over these with black paint. Add stripes to the feet for toes. Finish with a coat of acrylic gloss sealer, and you’re done! FLASH SALE! 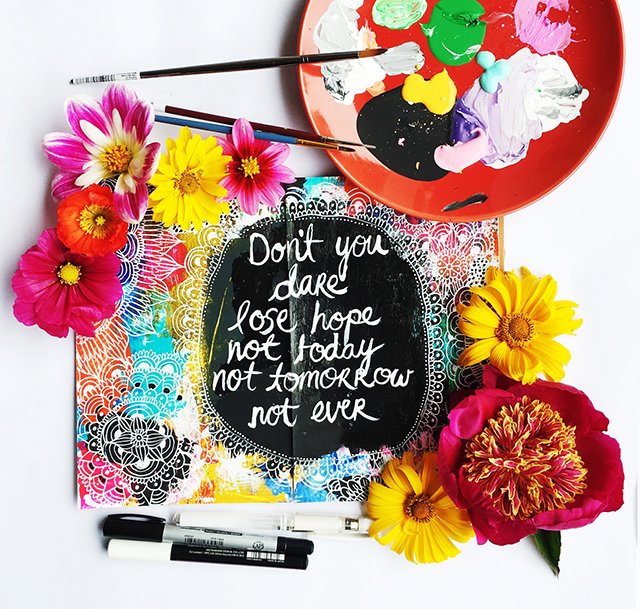 art journal bundle! Hey friends! 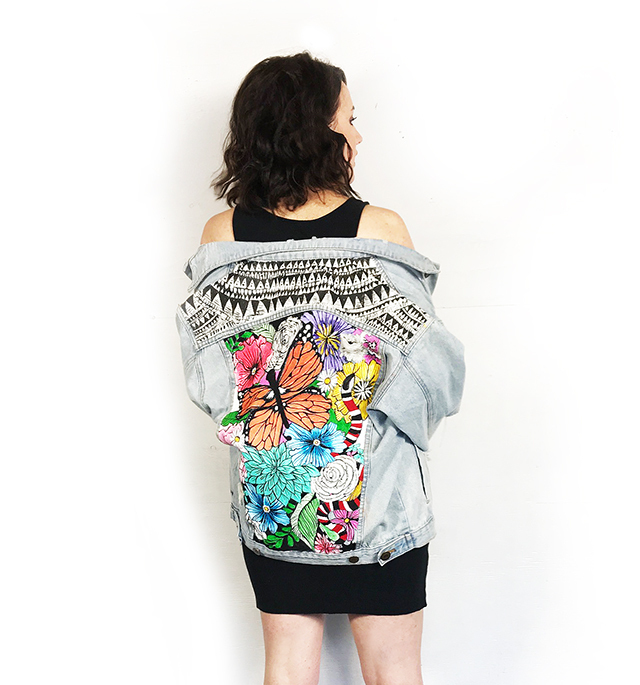 I've got a 24 hours FLASH SALE happening! 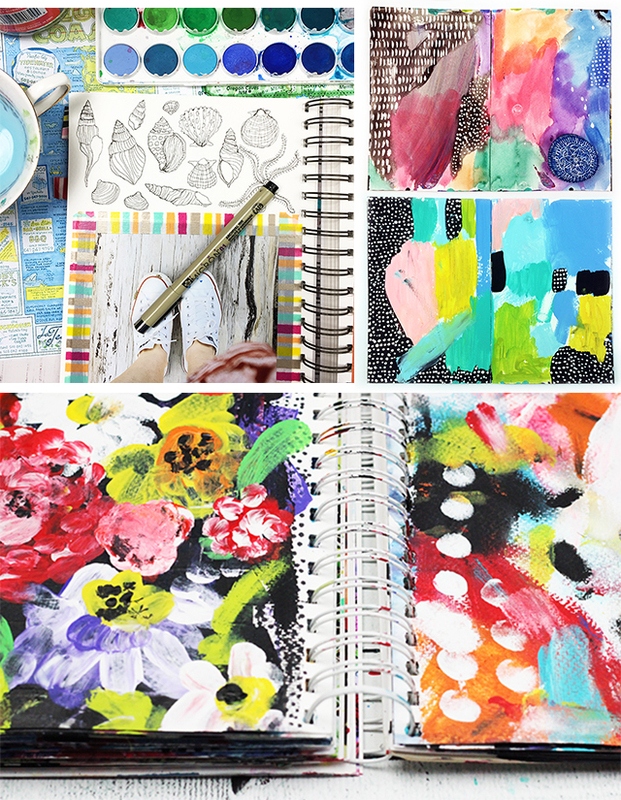 I've bundled all of my art journal classes together for major cost savings! 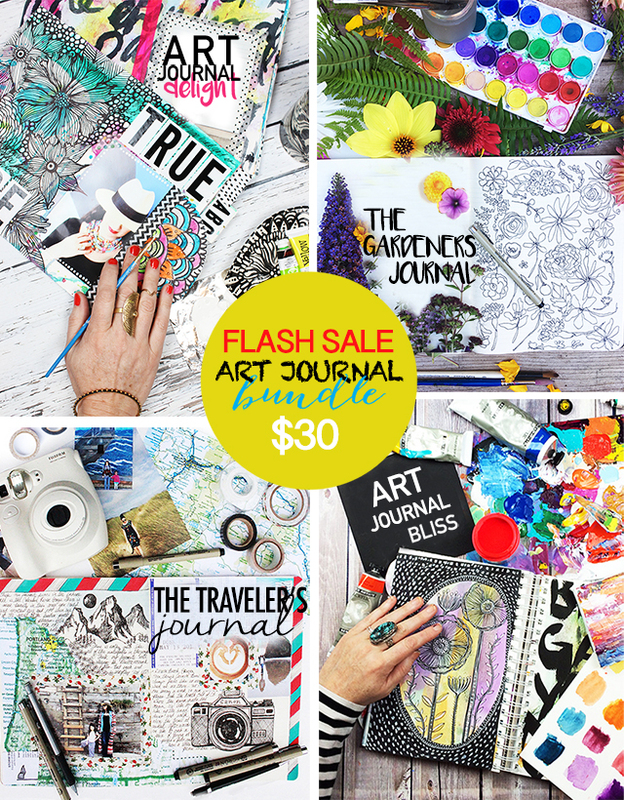 If you are interested in learning all kinds of ways to work on that art journal, this is the deal for you! Head on over to the shop HERE for more details or to register! 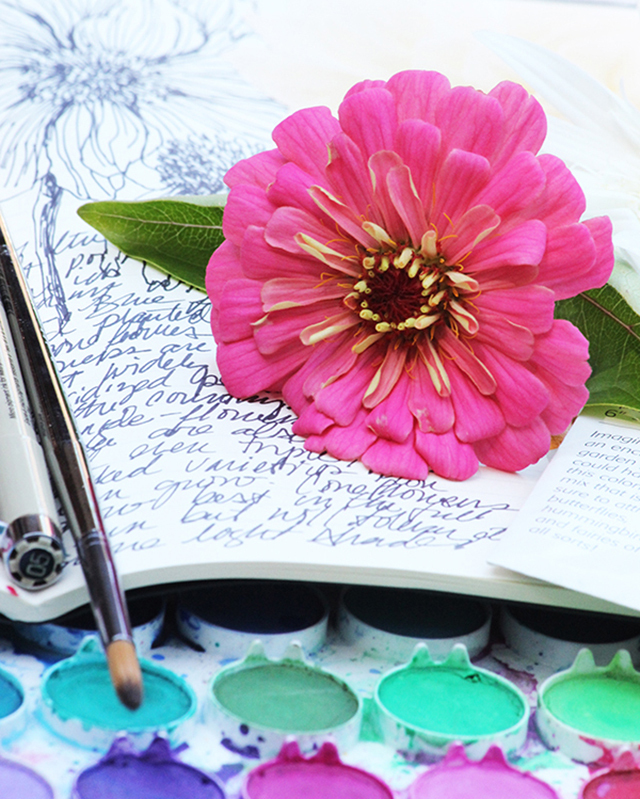 Grab that art journal and meet me in the garden! In this class we will be using the garden as as the backdrop for exploration and creativity! 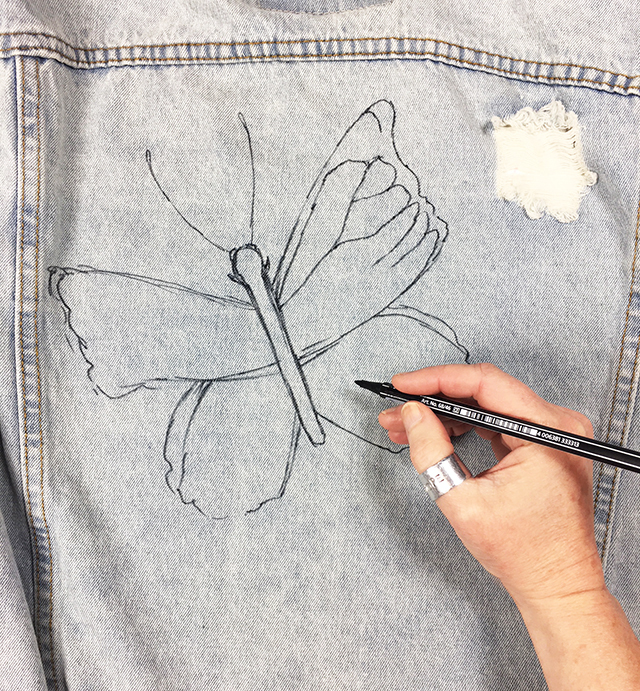 We will be using a variety of techniques and materials to discover and document inspiration, memories, garden planning, wildlife observations, weather patterns and more! I will share all kinds of techniques- from sketching, collage and painting to create colorful and layered art journal pages. 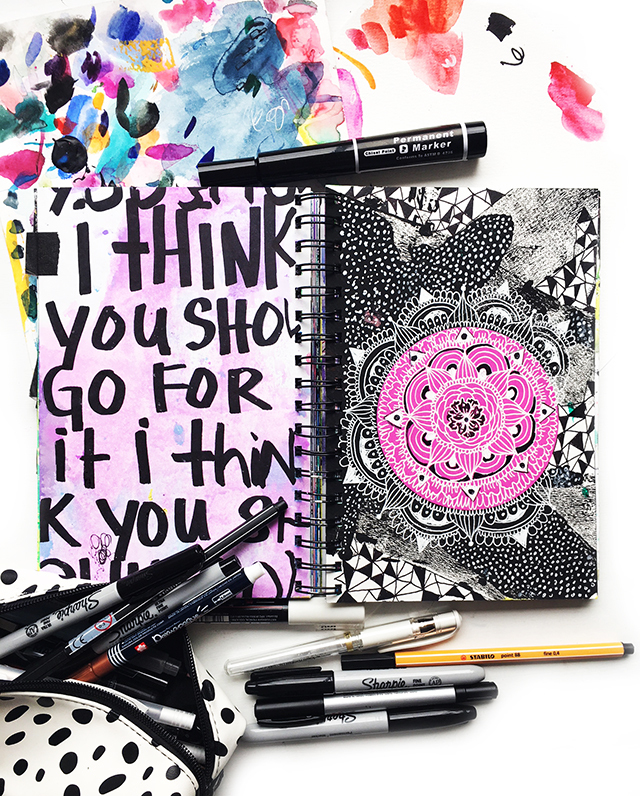 I carry an art journal or sketchbook wherever I go, even when I travel! The result are pages and page full art, free writing and collage inspired by my experiences. In this class I will be sharing some of my favorite concepts and techniques for keeping a journal dedicated to travel and adventure. I spend A LOT of time sketching but I probably spend just as much time working in an art journal. 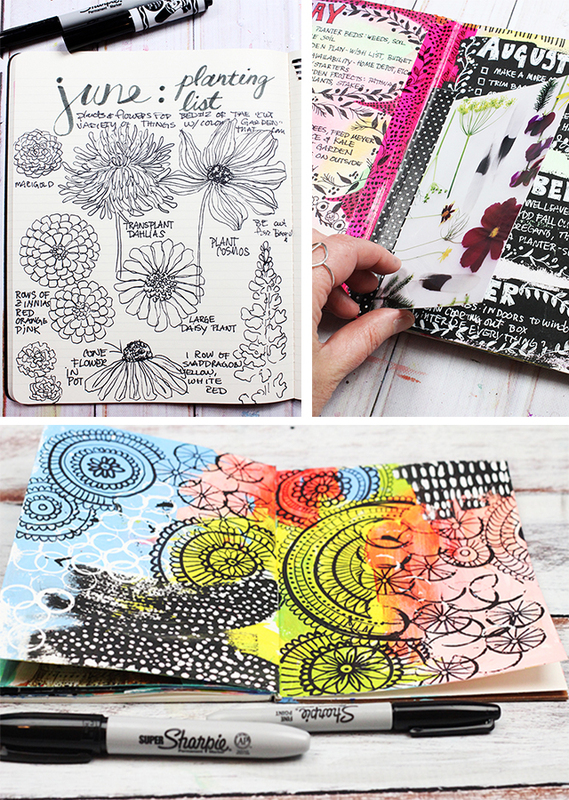 For me there is really a fine line between an art journal and a sketchbook. 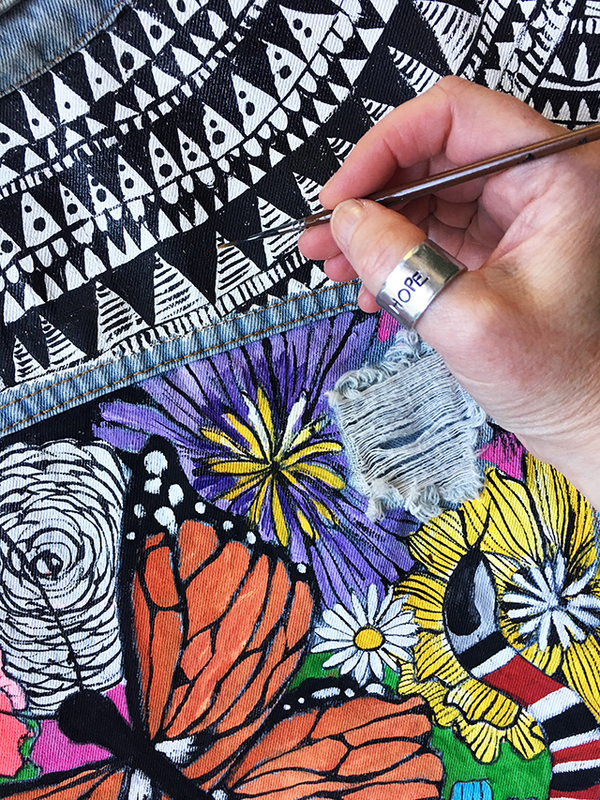 For my sketching process I limit my supplies- But when I work in my art journal, I explore all kinds of mixed media techniques like painting, collage, sewing (with paper), stamping, doodling, drawing and printmaking. My art journal is a small and accessible place for me to practice, explore and brainstorm all kinds of techniques. 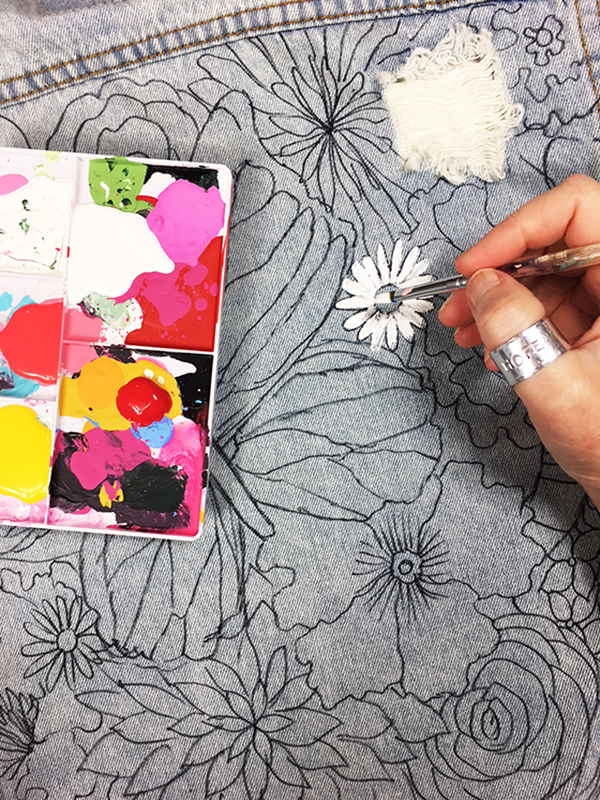 In this class I will be sharing some of my favorite simple art journal techniques that anyone, any age or any level will be able to create. 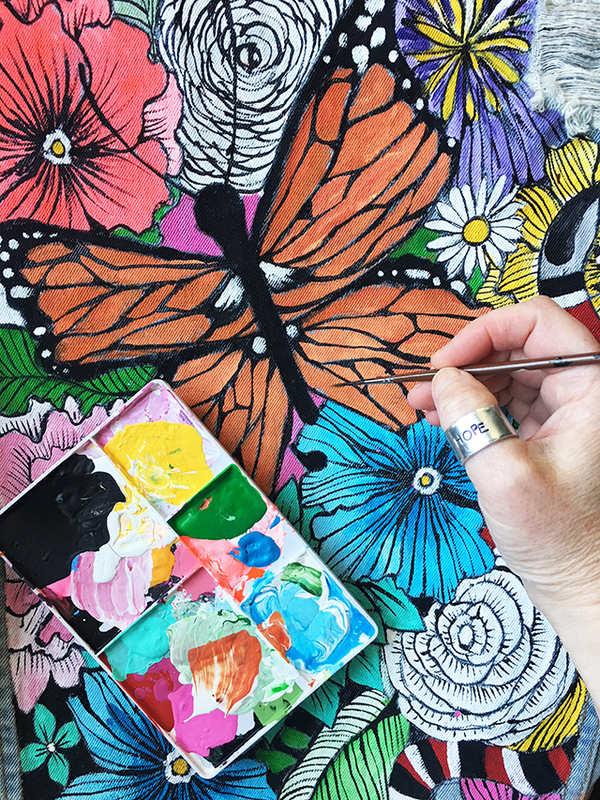 From using everyday things to incorporating photography to doodling to painting pages to printmaking to stamping and more, I have gathered up my favorite ways to fill an art journal. 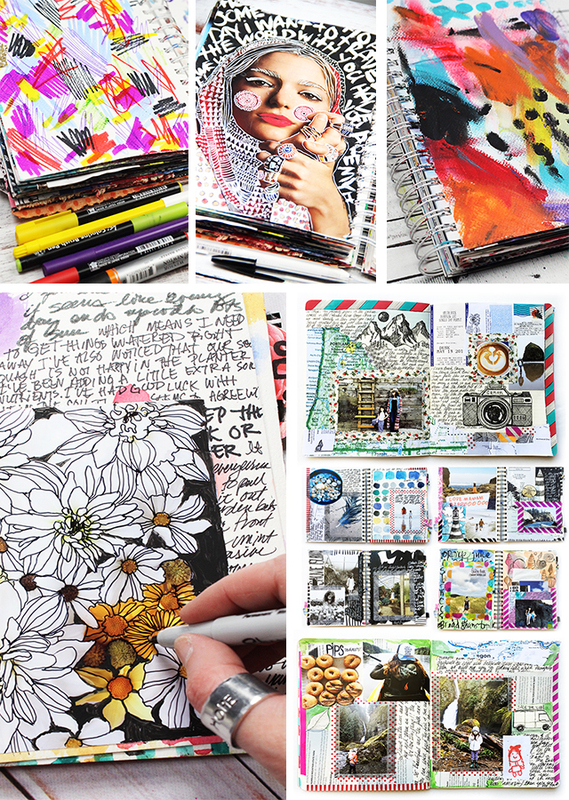 Art Journal Delight has been one of my most popular classes to date so I have created another fun class dedicated to art journaling. 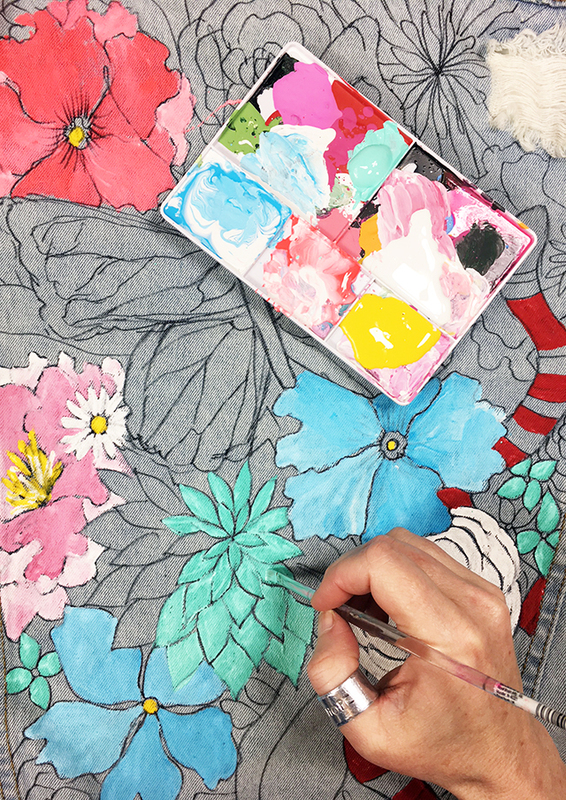 In this class I will be sharing more of my favorite simple art journal techniques, tricks, and prompts that anyone, any age or any level will be able to create! I have been eating gluten free for eight months now (I will be sharing more about this journey in later posts) but the change in my diet has changed my life. But I will admit at times it can be challenging because of all the meal prep we have to do. 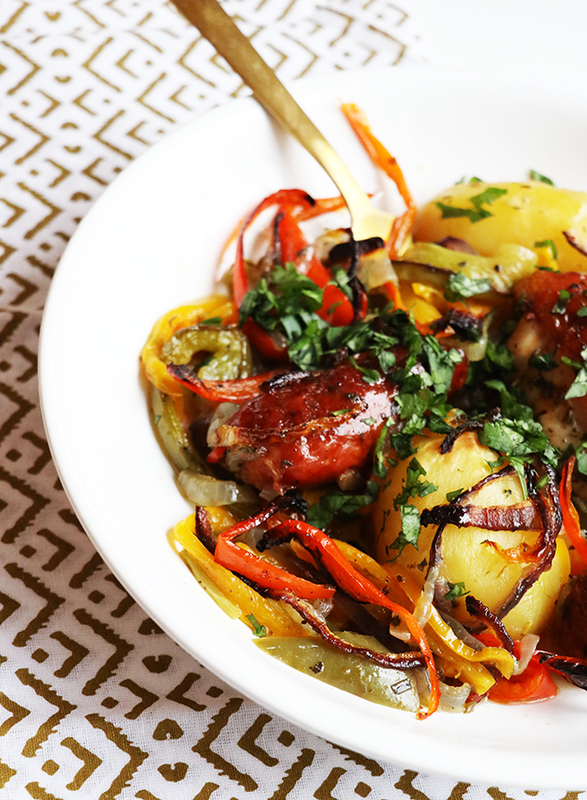 One our favorite tricks for eating good healthy food is incorporating lots of sheet pan meals into our weekly menu. 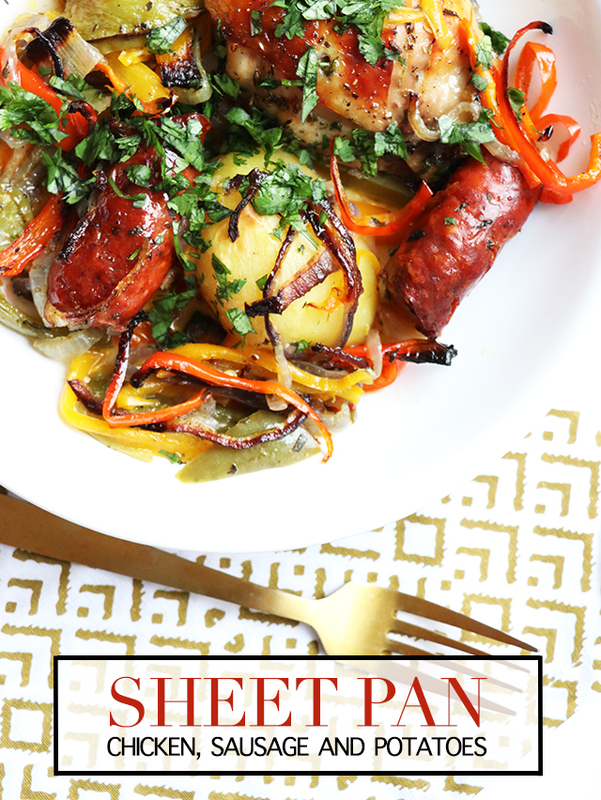 Sheet pan cooking is quick and easy prep time and the outcome is really delicious! 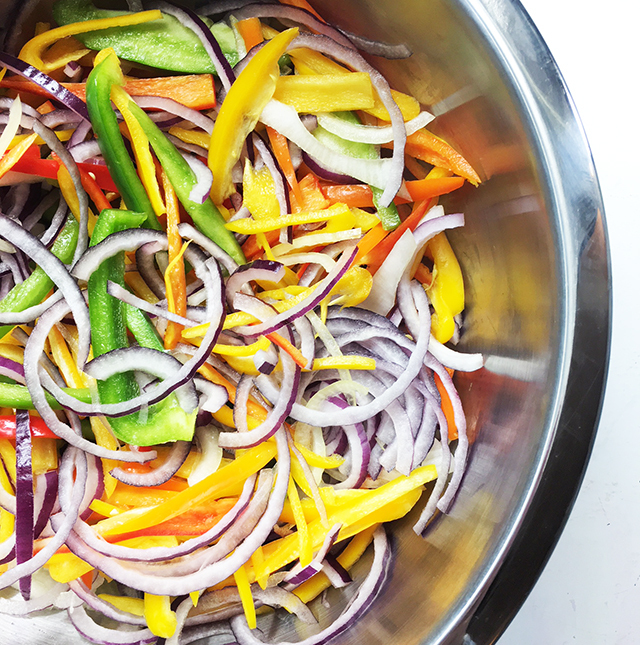 In a large bowl, mix all ingredients together with the avocado oil. Make sure everything is coated with oil and seasoning. 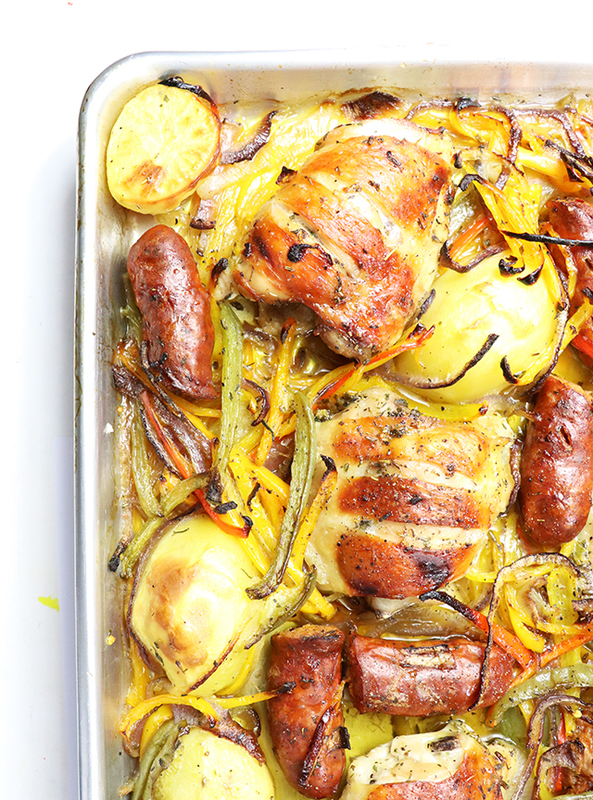 Spread everything out on an oiled sheet pan. Cook at 450 degrees for 10 minutes or until the chicken skin is nice and brown. Reduce heat to 350 degrees and cook until the chicken is done. The time will depend on the amount of chicken. It typically takes around 45-60 minutes for 8-9 chicken thighs. Let the chicken rest for 5 minutes and enjoy! If you are like me, you're heartbroken, feeling helpless and outraged about the family separations at our borders happening right now. I shared this post over on my Instagram account last week but I felt like it was also important to share it here. Immigration is a tricky subject and a hot bed for passionate debate and I understand that it may upset some of you but at this point but I believe this can be a uniting issue. I also feel that sharing resources feels important. 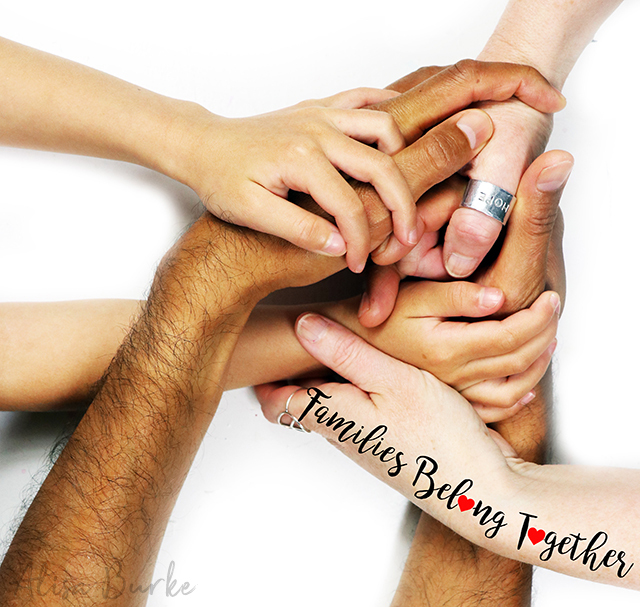 I spent that last couple of weeks gathering and researching a bunch of really tangible ways to get involved in the family separation issue and I am sharing them below. 1. First I want to encourage you to get educated! I know it can be overwhelming to absorb everything going on in the world but staying aware and educated is one of the most important things we can do as citizens of this amazing democracy. And please, don't just watch the news or consume media that makes you feel comfortable! Read and watch things from all sides and different opinions. I am a crazy liberal progressive Christian who consumes all media- even the outlets that I disagree with. This has helped me exist outside of my "liberal bubble" of information and stay informed and connected to the thoughts and beliefs of people different than me. 2.There are NUMEROUS politicians, public figures and faith groups/leaders (the list is too long to include here) condemning the zero tolerance policy that separates families and have condemned the use of scripture to justify policies. I think it is always important to acknowledge, support and thank people for taking a stand for what they believe. It ain't easy. So please send support to the people (from all sides) standing up for this issue. Hi everyone! 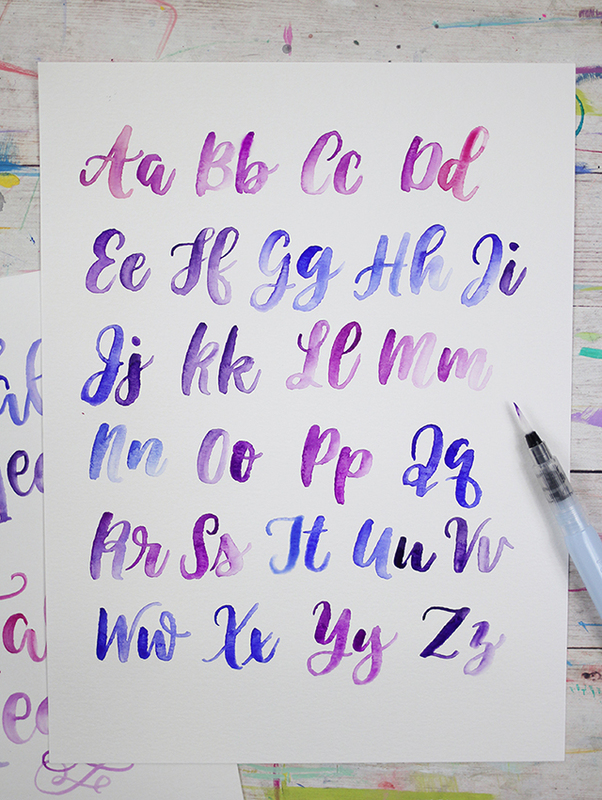 It’s Megan from Makewells and I’m back with my second post about lettering with a waterbrush! 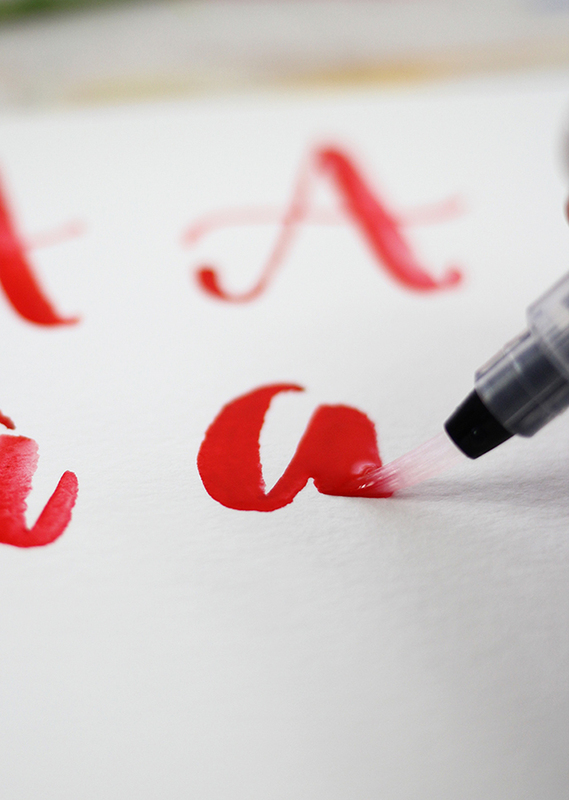 Last post, I showed you the basics of using a waterbrush to get started lettering. 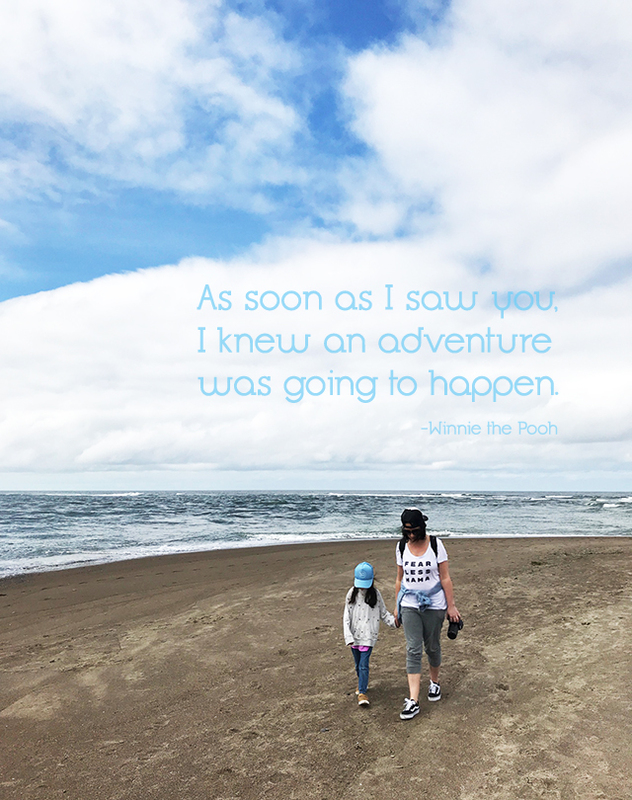 If you missed that post, go have a looksy! 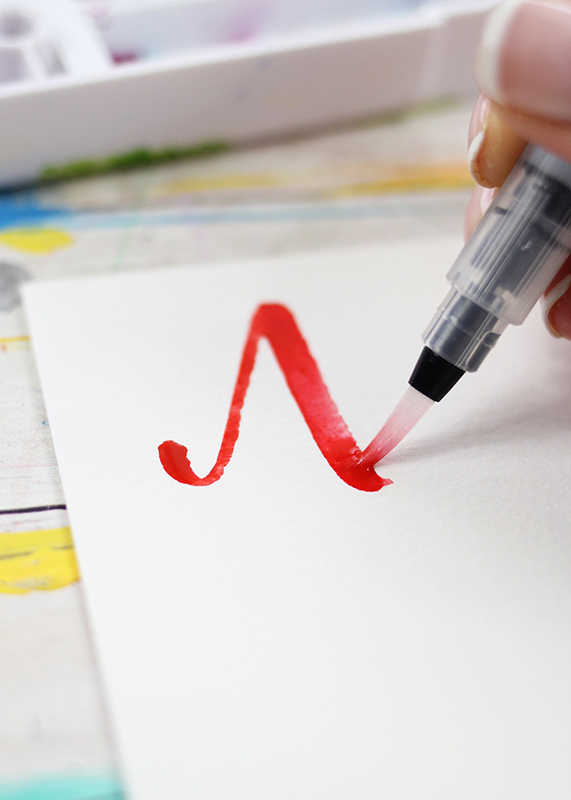 There is a video that shows the 5 basic strokes you’ll need to create each lettering in the alphabet...because this time around, we’re going to start painting letters! 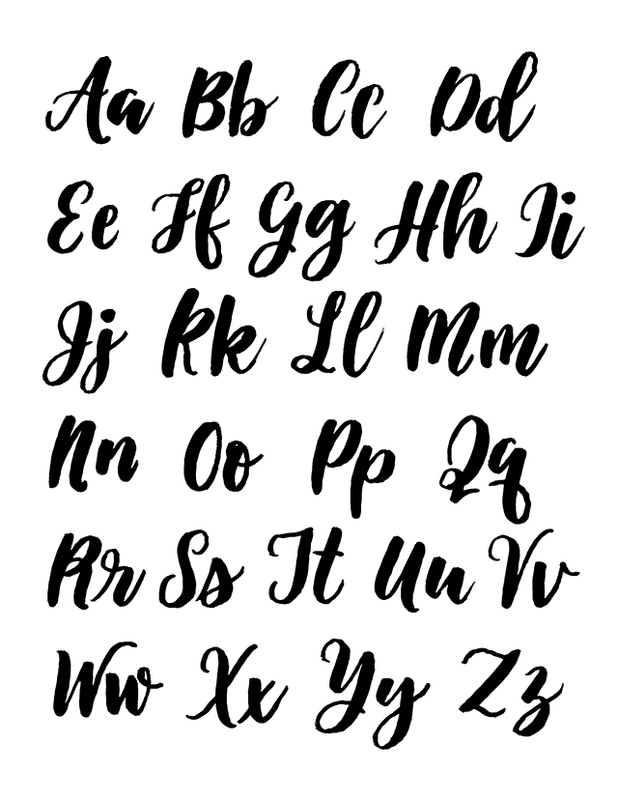 Again, I want to remind you that the biggest thing to remember when lettering with a waterbrush is to use MORE pressure when you create downstrokes, and less pressure when you create upstrokes. 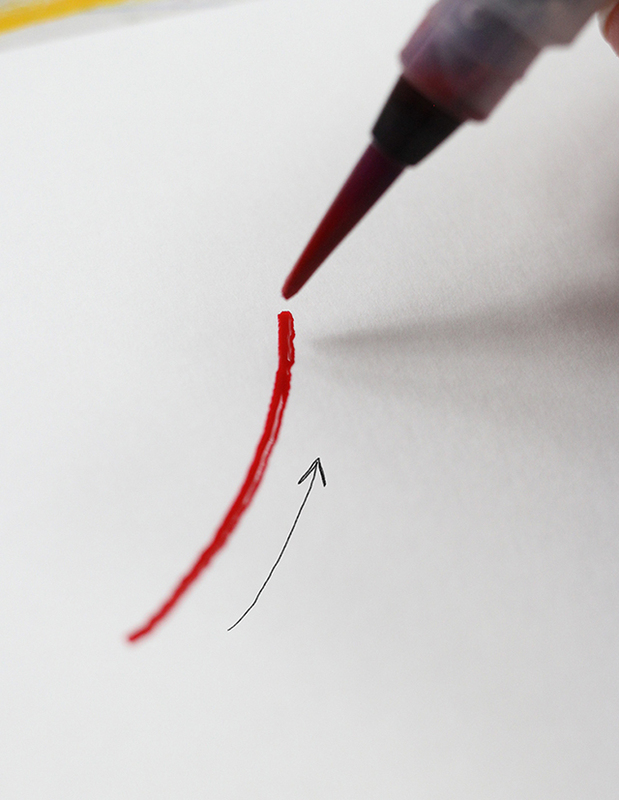 This will create a variation in line width, the downstrokes being heavier and the upstrokes being thinner. I’ve provided a sample script alphabet for you to use as a reference for practicing. Let’s begin with the letter A! My first small stroke is down, and I create that just slightly thicker and then draw the thin upstroke of the capital A. 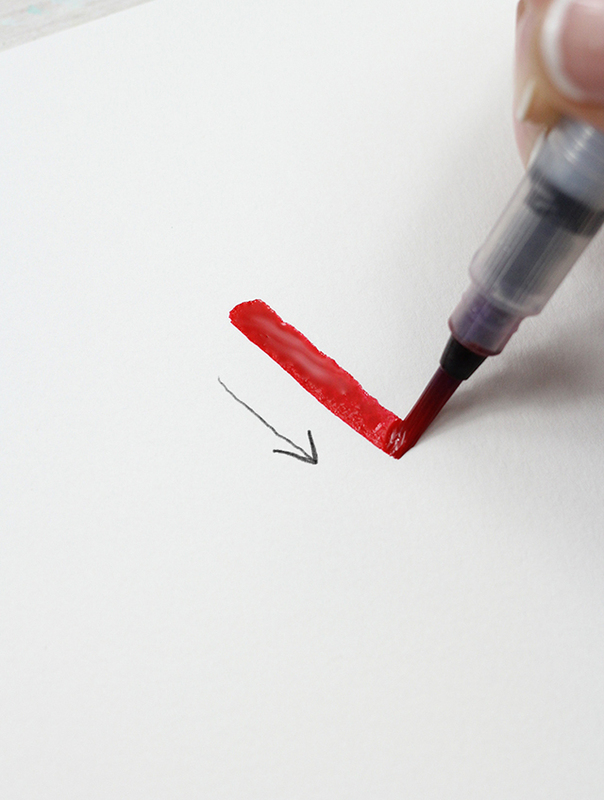 Next, I increse the pressure of my brush as I pull down to create the thicker downstroke of the A. And finally, I make a thin wavy line through the A to create my crossbar. 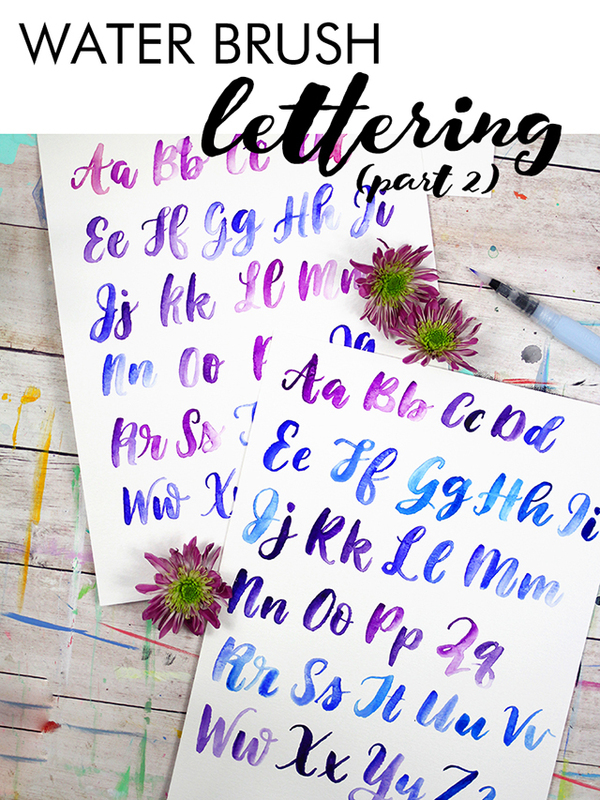 This letter utilizes two of the 5 basic strokes we learned in the last lesson. Next, let’s look at the lower case a. The first stroke is a partial ‘o’ stroke, which is then followed by a thicker downstroke that leads back into the thin upstroke. 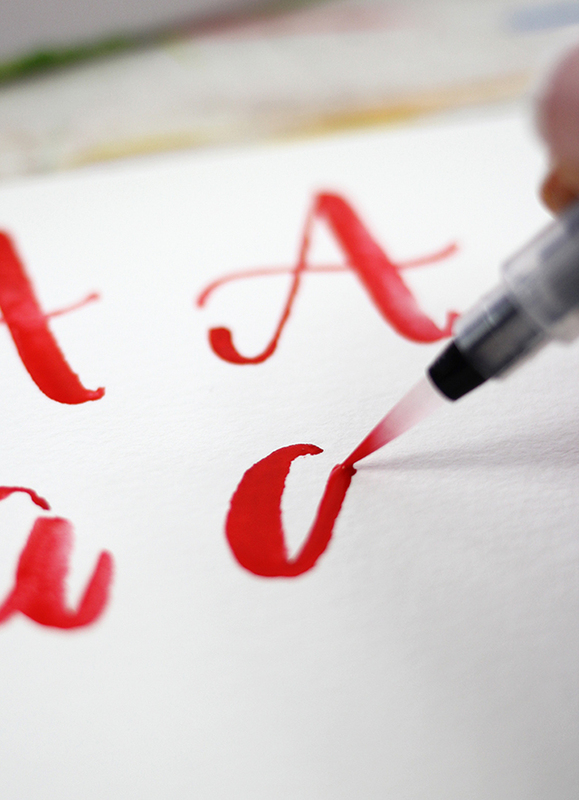 Here is a video of me painting both the upper and lowercase a’s. 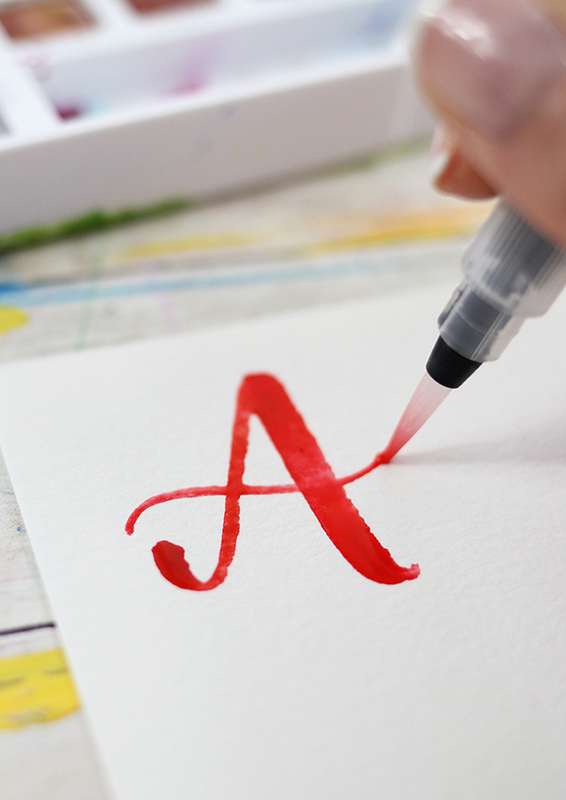 Watercolor alphabet from Megan E Wells on Vimeo. Now work your way through the alphabet! 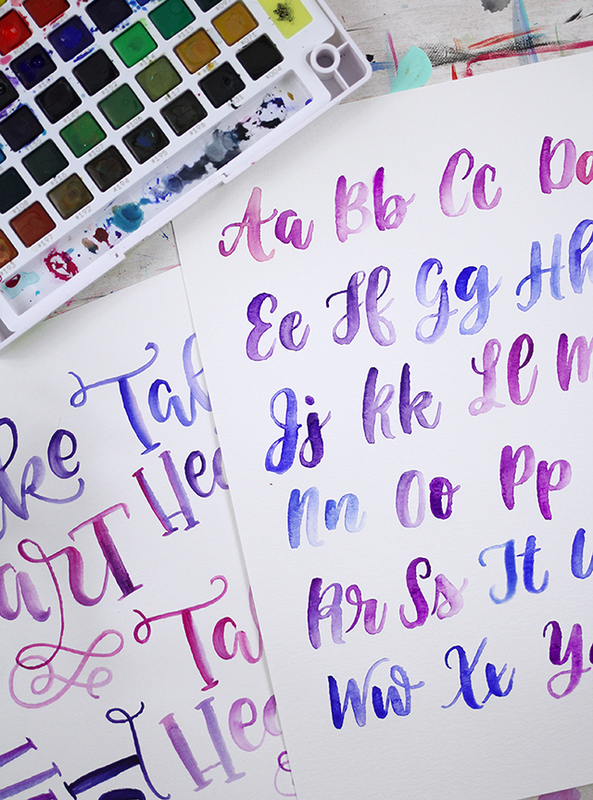 Lettering with a waterbrush takes a lot of practice! 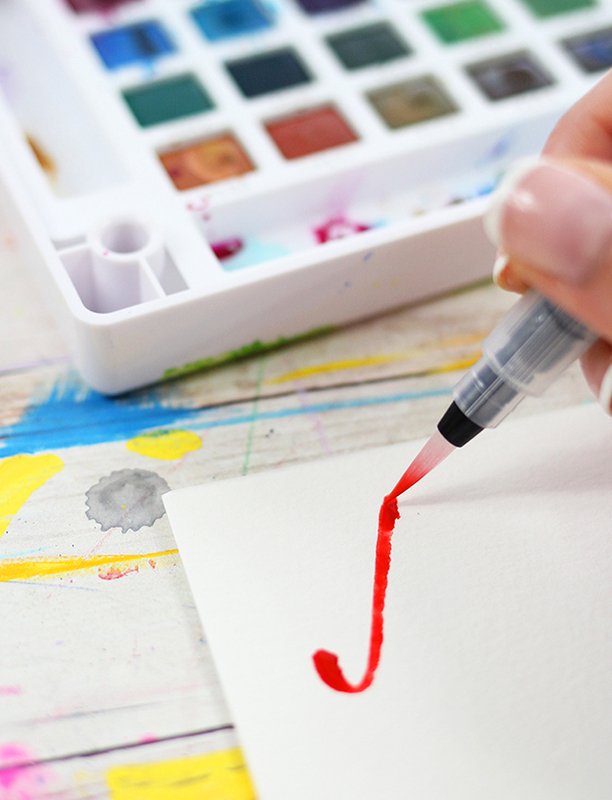 If you get frustrated, try going back and practicing some of the basic strokes again. Always remember...practice makes better! I hope you’ve enjoyed today’s tutorial! 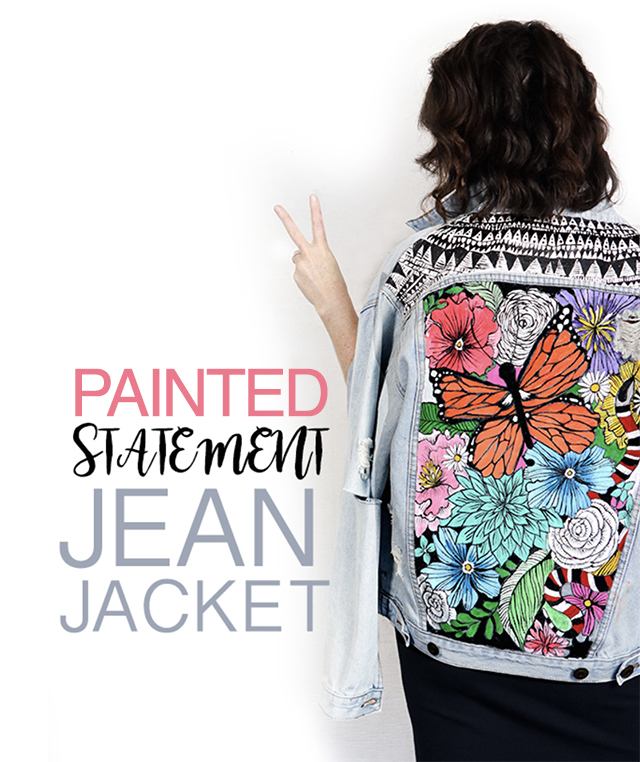 A jean jacket has always been one of my wardrobe staples but lately I am loving the trend of statement jean jackets! 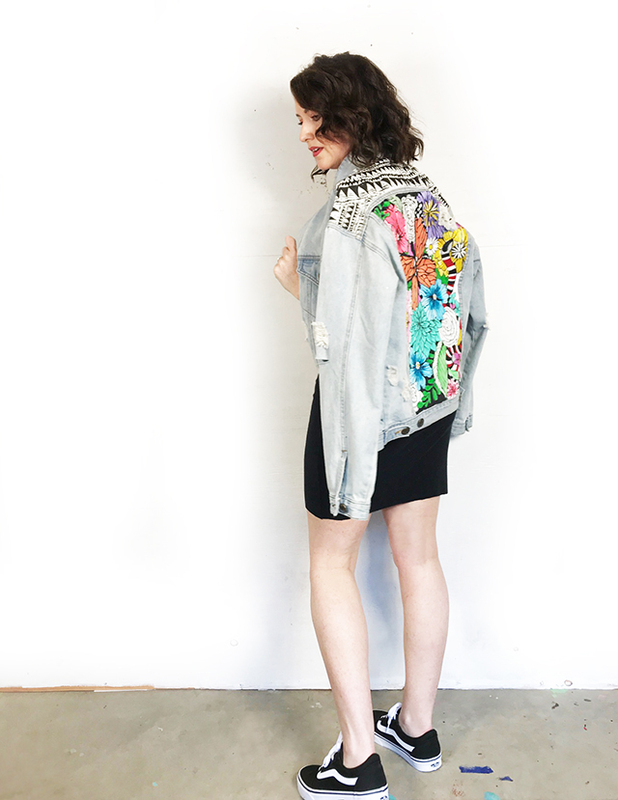 I mean who doesn't love a unique, colorful and creative jacket?! So I decided to put my own twist on this trend. 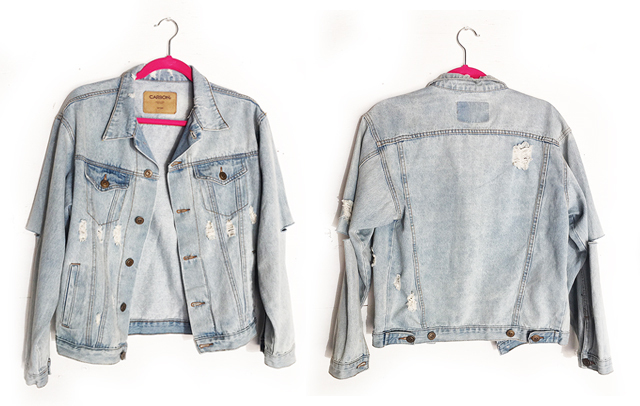 So I started by purchasing a jean jacket- I found one at a local store for around $20 and I went for an oversized jacket, another trend that I am loving right now! I started by drawing out my design. 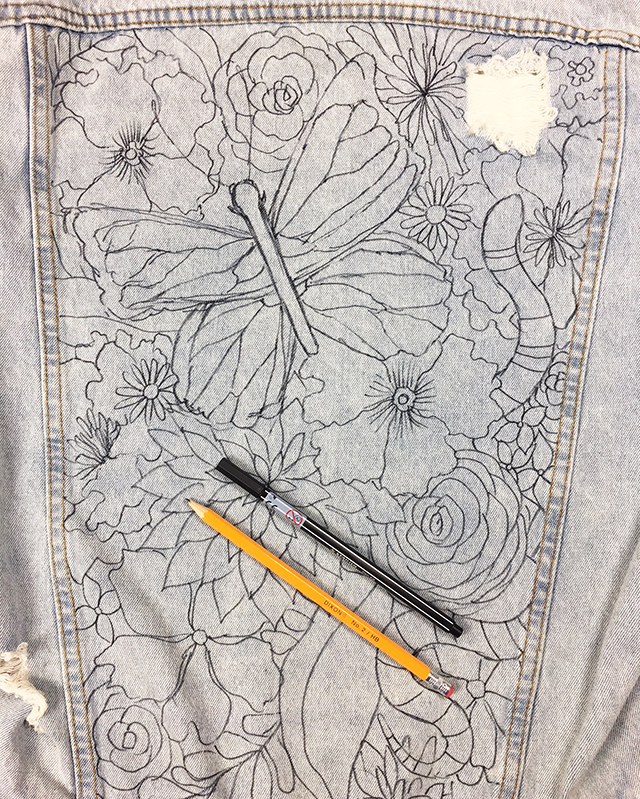 My goal at this stage was to get the basic outline of my design. And then I started painting! 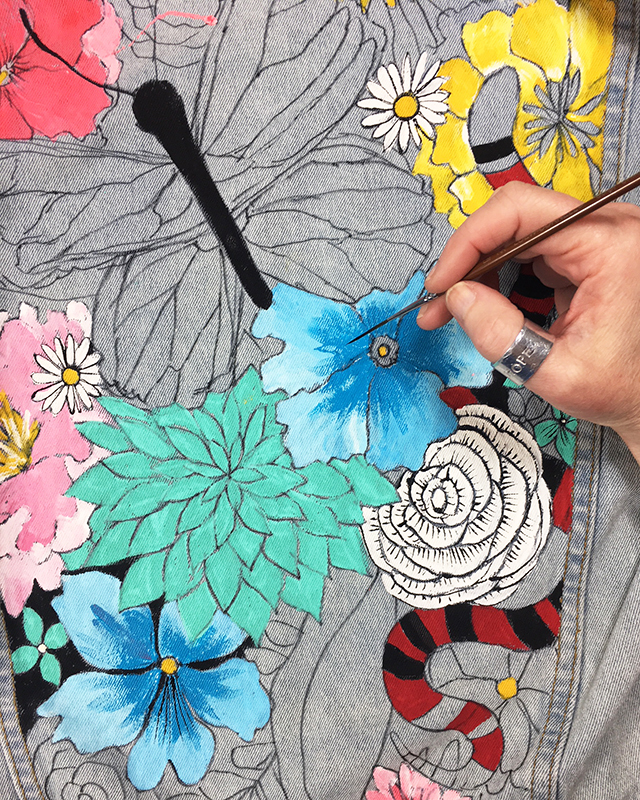 In my experience acrylic paint works just as well as fabric paint but I always hand wash any wearables that I paint. After the color began to dry, I went back in and with lots of details and line work. I kept adding color and details until the entire space was filled. 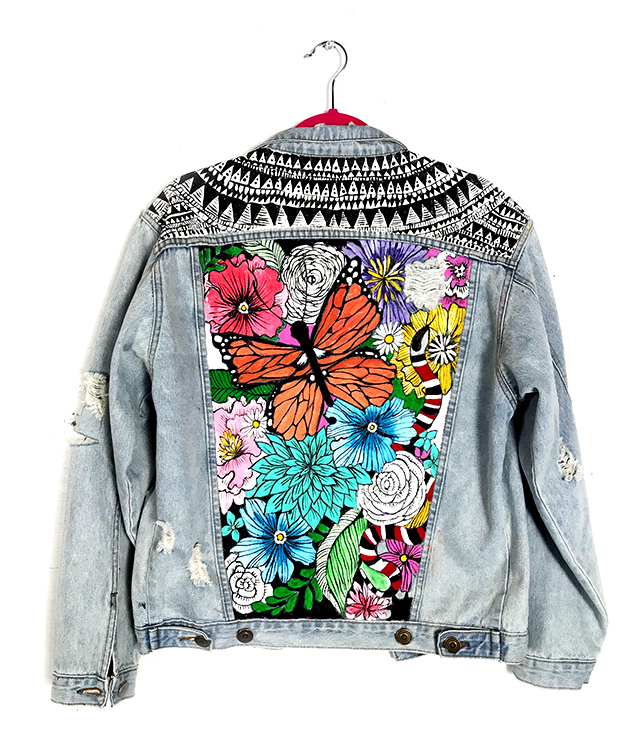 I love mashing up different patterns so I added a geometric pattern to the top of the jacket. 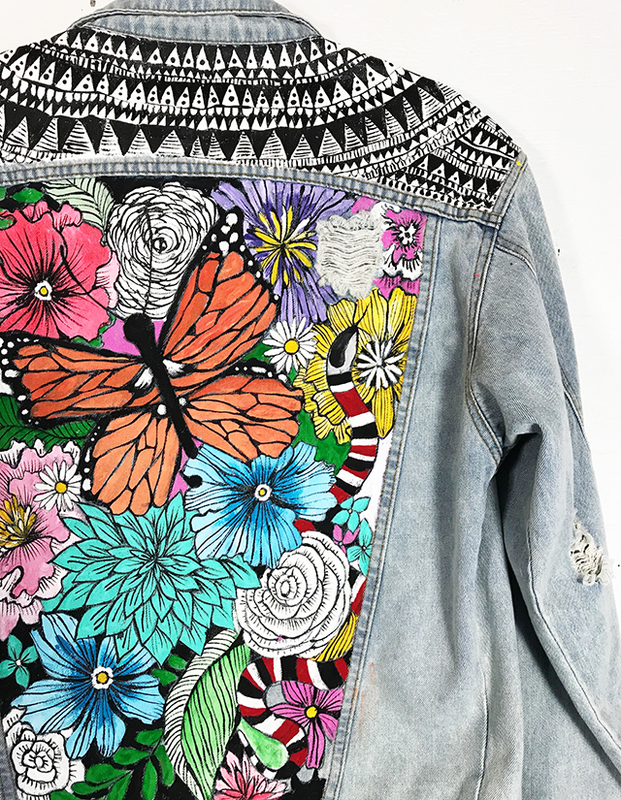 The result is a super colorful and creative jacket!